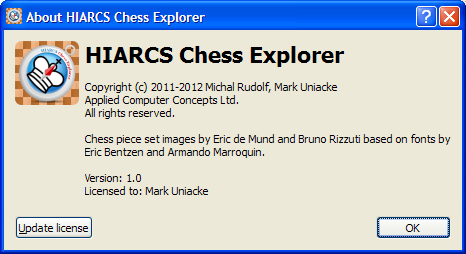 Open the About HIARCS Chess Explorer dialog by choosing the Help->About HIARCS Chess Explorer menu item. Click on the Update license button to update your license. You will then be able to enter your new license details to complete the update.